I love collage as much as I love drawing, Maybe even more. This piece is about 10 years old. 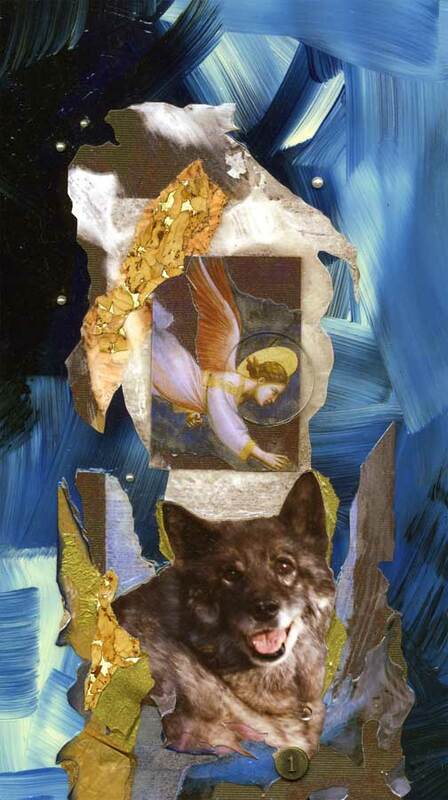 It came about when I set myself the challenge of creating artwork to commemorate Gerry's and my first dog together- Keesha, a Norwegian Elkhound (with a little Keeshounden mixed in as well.) We got her before we were married, found her via a classified ad. She came free with heartworm. She lived to be 10 years old. God, how that dog shed-like no other dog we've ever owned. God, how we loved that dog.